Old-school businesses. We all know a few of them. They’re the businesses that have always been around in some shape or form. The ones you don’t see going away anytime soon—or ever, really. They’re the OGs: the barber shops and hair salons, bars and pubs, restaurants and diners, home and office cleaning services, and carmakers. These businesses are an integral part of our day-to-day lives, and will probably continue to be for years to come. But does that mean it’s okay for them to stay the same, exempt from the demands of the digital age to innovate? In this post, we’ll go through a few of these “OG” businesses and nail down the one tactic that has allowed each of them to survive. Are you an OG business owner or manager? Feel free to take inspiration from any of these ideas and apply them to your own business. Ready? Let’s jump into it. According to the National Association of Barber Boards of America, barbering is the fastest-growing profession in the US with a growth rate of roughly 10%. Crazy, right? Especially considering that just up until 2012, the industry was actually on a decline according to census data. Then suddenly, a lot more dudes started caring about their hair. #FreshCutFridays isn’t just a hashtag—it’s a lifestyle. Dang, and meanwhile all these other retailers are out here forced to shut down with the rise of ecommerce. While the concept of a barber shop has remained the same (they cut hair), many owners have innovated their traditional look-and-feel, essentially turning themselves into full-on lifestyle brands. This means incorporating things like lounges, TVs, drinks and alcohol, into the picture—and turning the old-fashioned barber shop into a cool spot people want to associate with. The #1 tactic used: Barber shops are turning their services into complete brand experiences in response to modern consumers’ lifestyle demands. Room for improvement: One traditional aspect of barber shops that’s still common today is the long wait times—especially on Friday evenings and weekends. Nobody likes waiting around, so this isn’t the best experience-maker. One solution that a few salons have begun to adopt is online appointment-booking software. Barber shops might want to take note and implement something similar, allowing guests to pre-book their appointment times. Another idea would be to use text-alerts to notify customers when they’re up for a haircut, similar to what some restaurants are using to notify guests a table has opened up. Well, that stat has since been debunked. 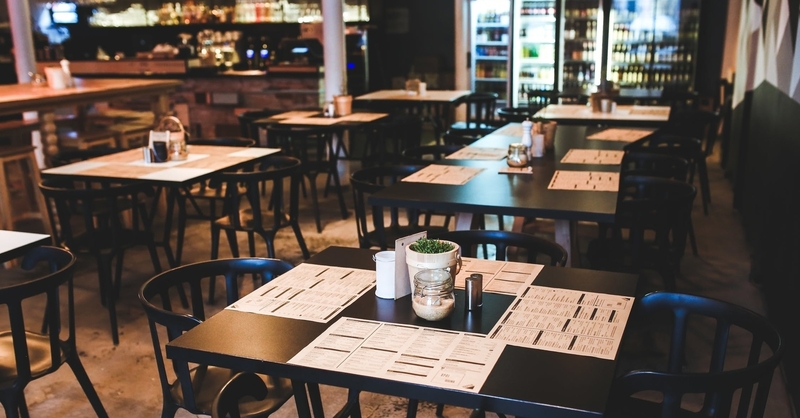 New research has shown that only about 17% of restaurants close in the first year. This is actually a pretty low failure rate compared to other businesses in the service industry, which average out at a 19% failure rate. Like most businesses, restaurants are innovating to cater (literally) to today’s consumer. This means they’re constantly evolving to keep up with not only customers’ taste preferences but their service preferences as well. Traditional restaurants have more competition today than ever. Sure, they’ve got other restaurants to compete with, but they’re also up against entirely new niches within the restaurant industry. Companies like DoorDash and SkipTheDishes have changed the game by making eating out more accessible than ever. Even chain grocery stores are competitors now, with many offering delivery services. Can’t make dinner because you don’t have time to grocery shop? Instead of eating out or ordering a pizza, order groceries. And when it comes to consumer habits, our dietary demands have changed as well. Do you have healthy options? Is it environmentally sustainable? Is it vegan? Is it gluten-free? Many restaurants are meeting this demand by expanding their menu to offer more healthy options, as well as diet-specific options such as vegan and gluten-free food. Well served, restaurants. Well served. The #1 tactic used: Restaurants are updating their menus and expanding their service offering and product delivery channels to align with today’s customers’ preferences and stay competitive among new rivals in the industry. For example, a restaurant could leave a bowl at the entrance with notecards letting guests know they can subscribe to their email newsletter for $5 off their meal. This way, the dining experience wouldn’t turn salesy (just a cute bowl of cards, no biggie) and restaurant owners can collect their guests’ contact information. These email addresses can then be uploaded into a CRM, and email automation software such as MailChimp can pull these addresses and send guests additional content (coupons, announcement of new menu items, restaurant events) to keep them coming back. Industrial and auto companies make up 40% of the world’s largest companies by market capitalization—and many of them are traditional companies. Car tech is booming. It’s not just about getting from point A to point B anymore. New tech in this field is reshaping our everyday life, giving us new expectations for transportation and options we’ve never had before. Yep, every day we get a little closer to living in the iRobot movie. As a result, traditional car brands have been forced to rethink the way they approach innovation. They have to differentiate themselves from all new types of modern-day competitors. This means going beyond the product and looking at themselves as service providers as well. Tesla is a prime example of successful innovation, responding to the rising concern for environmental sustainability through the invention of a luxury electric vehicle. In 2017, Tesla became the second-largest American automaker by market cap. They expanded their market share to the middle class demographic by releasing their Tesla Model 3, which started at an initial price point of $35,000, attracting over 400,000 pre-orders. This strategy turned out to be wildly successful. The Tesla model 3 was the best-selling luxury car of 2018 in the US. In fact, they sold more Model 3s in one year than they’d sold of every model in every previous year combined. The #1 tactic used: Carmakers are expanding their focus to include not only vehicle design but overall user experience as well. Rather than just building something to get people places, the goal is to make vehicles that will truly change the lives of its drivers—and with the rise in popularity of AI and electric vehicles, the world. Room for improvement: AI is cool and all, but there are some imperfections and concerns many of us don’t talk about. For example, how does a car decide who to hit in an unavoidable accident? Can AI create an ethical subconscious mind for cars? We’ll have to wait and see how this one plays out. Innovation is essential to stay relevant in today’s fast-moving economy and keep up with consumer trends. The year is 2019. What’s your new-school edge going to be? Learn about why traditional companies have the most to gain from technology like CRM.